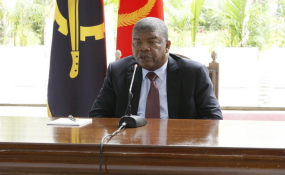 Restoring trust depends on the government's ability to reform the financial sector, which remains concentrated around a few politically exposed persons among Angolan banks' shareholders; of the 27 commercial banks registered with Banco Nacional de Angola – the central bank and sector regulator – five control over 80 per cent of total banking assets, deposits and loans. In addition, the banking sector is highly centralised with the vast majority of Angolans and small- and medium-sized enterprises unable to access formal credit. Instead, the bulk of credit given by Angolan banks goes to a few hundred chosen investors. Given that diversification is a priority of the Lourenço presidency, his ability to also restructure the financial sector will be critical. Another worrying trend is potential nepotism and conflicts of interest, including within the military. In April 2018, the president promoted his brother – General Sequeira João Lourenço – as deputy head of the President's Intelligence Bureau, which oversees the military, the police and the intelligence services. Two months prior he allegedly sold a state-owned aircraft to his brother’s aviation company – SJL Aeronáutica – without a public tender and at an undisclosed price.